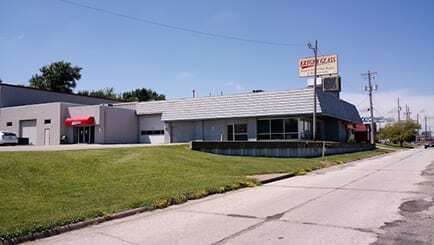 Kryger Glass has been serving the Davenport, IA since 1999. And as the city grows, so does the need for quality auto and residential glass services. Whether your auto glass has cracked from the crazy weather changes in Davenport or your home window took a beating from a River Bandits wanna-be, we have the experts on hand to help your vehicle or home glass get back in shape. And if you can’t come to us, we’ll come to you. We serve areas as far away as Galesburg and Maquoketa, and Sterling to West Branch. Our mobile service will serve you within a 50-mile radius of our Brady Street location. Our residential glass services are wide ranging, with custom pieces for table top glass, mirrors, windows and more. We also serve commercial businesses with large storefront windows replacement and repair. Living in Iowa, we know just how much farmers and truckers mean to our daily lives. That’s why we have experts just for tractor and semi-truck glass needs – and we’re happy to come to them to fix it, too. 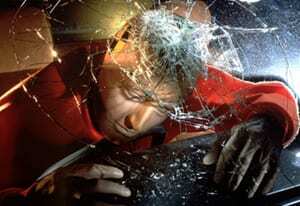 No matter if you have a window, sunroof, or side mirror to fix, at Kryger – quality is key. Our certified technicians ensure every install is up to our high standards, without the high price. Get to know the team, then give us a call today! Fantastic customer service and wonderful repair! They opened the shop early so I could be to work on time and even gave me a ride to work. The window was replaced before lunch on the same day and is as good as new! 100% stress free. Excellent service and price! Went above and beyond...met me early so I could be at work on time and brought the vehicle to me when done. Also made sure I had new wiper blades:) Thank you!! Rich may be new to the auto glass industry, but he comes from a background of strong leadership. Rich’s main goal with Kryger Glass is to develop a team that meets our customer’s expectation and deliver quality installations. His passion is football, wrestling, soccer and baseball at any level. When at home, Rich, his wife, and three kids love attending sporting events. Cathy has over 13 years of experience in the glass industry. She takes pride in the fact that she works for a family owned business like Kryger Glass and loves what she does. Cathy’s overall goal is to keep up with the ever changing industry and to service our customers. When she is not working, Cathy enjoys camping with her husband and friends. Willy has been an Auto Glass Technician for 7 years and pays close attention to the details. He has developed his client’s trust by returning their vehicles as it came in with new glass. Willy enjoys camping and fishing in his spare time.